ImmuPharma PLC (LSE: IMM), the specialist drug discovery and development company is pleased to provide an update on ongoing activities. Lupuzor™ is ImmuPharma’s late stage asset for Lupus, a potential life threatening auto-immune disease. 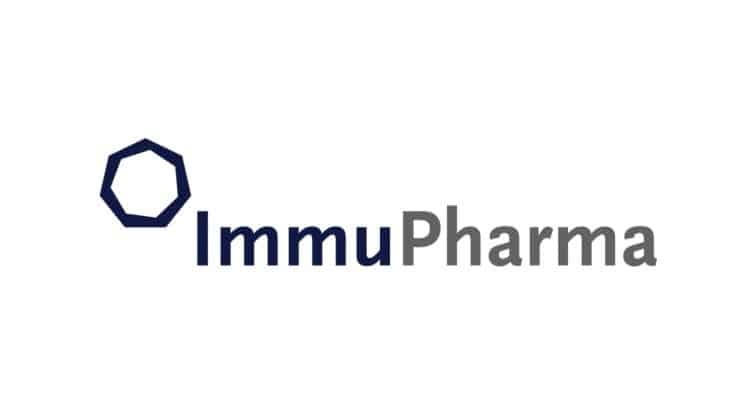 As announced in the ‘Corporate Update’ on 7 September 2018, ImmuPharma confirmed that it is in the process of making Lupuzor™ available as a treatment to patients via a Managed Access Programme (“MAP”). The MAP is progressing to plan including the preparation of administrative documents and assessment of the logistics in relation to the regulatory process in each country. Following analysis of the regulatory processes in EU countries, it is planned to begin patient recruitment for the programme in France and UK and then roll out to other EU countries. Further updates will be provided as appropriate. The Lupuzor™ open label extension study is progressing as planned, with a total of 62 eligible patients from the original Phase III trial recruited throughout the US and Europe. This study remains on track to report results in Q2 2019. As announced on 7 September 2018, ImmuPhama signed a ‘Heads of Terms’ on a clinical development collaboration for its Nucant cancer programme, with Incanthera Limited (“Incanthera”), a specialist oncology development company. The two companies are making good progress in finalising the ‘Definitive Licence Agreement’ within the exclusivity period up to 31 December 2018 granted by ImmuPharma to Incanthera. In consideration for this exclusivity period, ImmuPharma was granted warrants to subscribe for 363,637 ordinary shares in Incanthera at any time over five years. The warrants have an exercise price of £5.50p per share, for an aggregate exercise value of £2 million. Further updates on this collaboration will be announced in due course. ImmuPharma’s wholly owned subsidiary, Ureka Sarl (“Ureka”) based in Bordeaux, is focusing on transforming peptides into efficient drugs for treatments in a number of therapeutic areas including Type II diabetes and NASH (Non-Alcoholic-Steato-Hepatitis). In the Company’s announcement of 7 September 2018, ImmuPharma stated it would commence a process of considering all opportunities to divest Ureka. Following this period of review, ImmuPharma intends to engage the services of a leading specialist R&D and advisory firm in the sector, to support the evaluation of Ureka’s technologies and drug candidates and the development activities for the progression of its assets and the business. This process is ongoing and further updates will be announced as appropriate. ImmuPharma announced on 1 November 2018 that its current NOMAD, Northland Capital Partners had voluntarily agreed to relinquish its NOMAD status, which will remove it from the register of NOMADs with effect from 7.00 a.m. (GMT) on 1 February 2019. ImmuPharma is in the process of engaging with a replacement NOMAD and expects to be in a position to announce an appointment in the near future. “We are delighted to be progressing the necessary activities for the Managed Access Programme, allowing Lupus patients early access to Lupuzor™. In conjunction, in the medium term we remain focussed on achieving the full regulatory approval of Lupuzor™, which we are confident has the potential to be a ground breaking drug for Lupus patients. “Our Nucant programme and Ureka subsidiary continue to progress with their separate strategies, both having the ultimate goal of achieving value for all stakeholders going forward.